We have the best job in the world!!! There is nothing more magical than the look of wonderment and sheer joy when the children enter our studio and start their magical Fairy Adventure. See their faces light up when they find the Fairy Trail, make a Fairy Wish, join the Forest Animals and find the Forest Fairies. Practising their magic skills is always a highlight and by the time they get home, these new Fairies can actually feel their Fairy Wings growing. A truly Magical Fairy Adventure. If we could bottle the sheer joy the children get from their "Magical Fairy Adventure" we would be millionaires! Our Fairy Adventure is so more than just a photoshoot! It's all about creating a magical adventure that the children will remember as part of their childhood - that same feeling that they get when they know Father Christmas is coming on Christmas Eve. Our children's Fairy Adventure usually lasts between one and two hours (we never rush the children) and it takes place in our Enchanted Woodland Setting. There is a wide variety of Fairy costumes to choose from complete with head-dresses and lots of Fairy Dust. 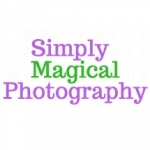 Once the images have been edited (and the magic added) they are uploaded to our website for customers to copy, print and share as many times with family and friends as they want. The photos are all in full colour, professionally edited and suitable for canvas or large format printing. Wow! Absolutely magical experience for children, my little girl didn't want to leave! It was absolutely amazing and I am so pleased with the pics too, they are beautiful! Carol and Tony were fab with my daughter and 2 of the nicest people! We loved it and will 100% be back again for another shoot!! Thank you so much! Really lovely people, made my daughter feel at ease! Really calm and caring! Savannah felt like a real fairy and got to choose her favourite colour dress! They spent lots of time letting her kiss all of the animals goodbye! Would defo recommend! Really reasonable price for the photos and was such a magical experience for her! Thank you both!